A worried resident files a 311 complaint about all the snakes on Lambert Street, near Highland Street: Read more. 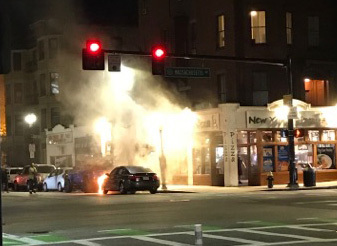 Boston Police report arresting two local men and one from Brockton on charges they began firing away in the area of St. James Street Saturday evening - near where a cluster of BPD officers were interviewing somebody in connection with another incident. Read more. Boston Police report its SWAT team arrested a man they say tried to shoot somebody else on Charlame Street shortly before 4 a.m. today. Read more. 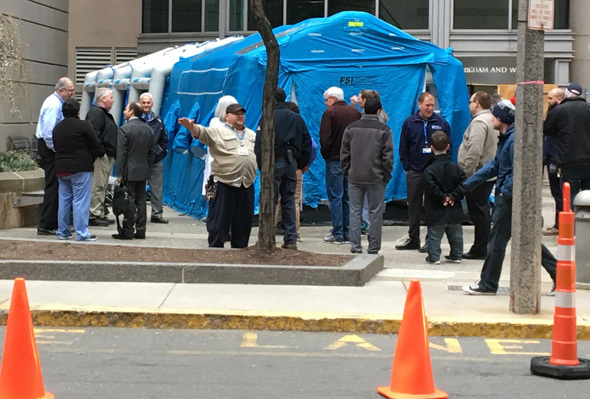 A roving UHub photographer spotted staffers at Brigham and Women's Hospital this morning testing a chemical decontamination tent in preparation for Monday's race. I'm an elected official and I cant afford to buy a home of my dreams in Roxbury. Everyday my family gets calls and letters to buy our homes, cash. Its harassment. Its greed. Its absurd. Roxbury is tired. We are tired. Go develop your suburban towns. Khyeme Johnson, 31, was indicted by a federal grand jury yesterday on one count of being a felon in possession of a firearm and ammunition. Read more. 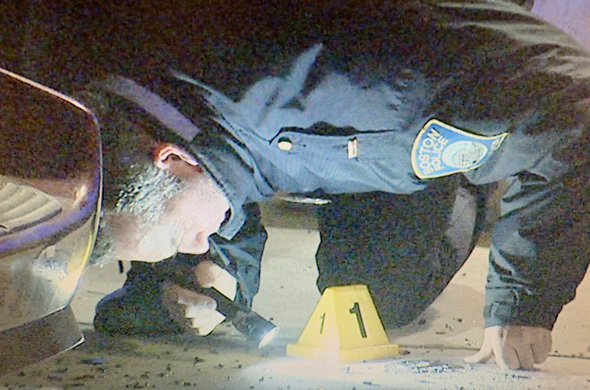 A Suffolk Superior Court jury today acquitted Jonathan Aguasvivas, 26, and Calvin Boykins, 27, of first-degree murder for the Feb. 4, 2016 shooting death of Marquis Waithe on Brookledge Road, the Suffolk County District Attorney's office reports. Read more. David Delacruz, 31, pleaded guilty last week to assault and battery with a dangerous weapon, assault and battery on a disabled person, assault and battery for the purposes of intimidation, and violation of a victim’s civil rights for an incident in 2017 in which he knocked a woman out of her wheelchair, then stabbed her repeatedly, the Suffolk County District Attorney's office reports. Read more. On Walnut Avenue near Fenno Street around 1:20 p.m., per Boston EMS Incidents and Monica Cannon-Grant. 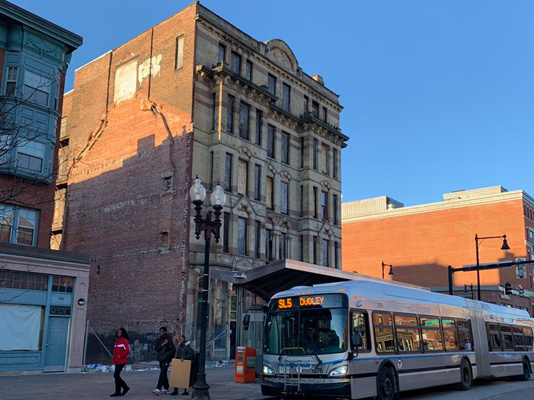 Not one to feed students, but one in which culinary-arts students will feed hungry Bostonians this summer, the Dorchester Reporter reports. "There’s no curriculum for food trucks anywhere in the state, so I was like, all right, we’re gonna create our own," the teacher running the program says. WBZ reports a resident of Fort Hill in Roxbury became angry that his neighbor parked in "his" spot Friday - several days after the snowstorm - and so slapped a Denver boot on her car. He removed it only after she called 911 and police showed up. No word on where he got the device, which was red and yellow, unlike the yellow ones the city uses for unpaid parking tickets. WGBH profiles Troop 906, formed last fall as the only active minority-majority Boy Scout troop in eastern Massachusetts.